February 2009, Jennifer Pirante shipped to Marine Corps Recruit Depot Paris Island, S.C., to train with Oscar Co., 4th Battalion. Pirante graduated with her platoon May 2009, obtained the rank of private first class, and proceeded to Marine Combat Training at Camp Geiger, N.C., where she graduated in June. Pirante attended the Defense Information School at Fort George G. Meade, Md., where she was promoted to the rank of lance corporal in November. December 2009, Pirante graduated the Basic Public Affairs Specialist – Writer course as a 4341 Public Affairs Combat Correspondent and was commended by the U.S. Marine Corps Combat Correspondents Association. January 2010, Pirante reported to her first duty station at Marine Corps Air Station Iwakuni, Japan. During her 18-month tour, she traveled to various countries to document and tell the stories of the Marines and sailors conducting expeditionary exercises under the Unit Deployment Program. Her first UDP exercise was Southern Frontier 2010 with Marine Aircraft Group 12 at Royal Australian Air Force Base Tindal, Australia. While there, Pirante wrote news stories and coordinated a radio interview between ABC Darwin and Lt. Col. Joseph Maybach, commanding officer of Marine All- Weather Fighter Attack Squadron 224. Pirante’s second UDP exercise was Lava Viper 2011 at Hickam Air Force Base, Hawaii, with MAG-12 in support of Marine All-Weather Fighter Attack Squadron 533. The purpose of the exercise is to establish unit cohesion interoperability between troops before deploying to Afghanistan. Pirante’s third and final exercise of her tour was Key Resolve/Foal Eagle 2011 at Camp Mujuk, South Korea, which was cut short due to the approximate 9.0 magnitude earthquake and tsunami that devastated the Tohoku region of northern Japan, March 11. Following the disaster, the Marines in her PAO shop worked together to provide correspondent support to document the humanitarian effort coming out of MCAS Iwakuni during Operation Tomodachi. In June, Pirante was promoted to the rank of corporal. September 2011, Pirante reported to Marine Corps Base Camp Pendleton, Calif., where she served with I Marine Expeditionary Force as a journalist in support of Female Engagement Team 12-2 during their pre-deployment workup. In November 2011, Pirante returned to DINFOS and completed the Electronic Journalism Course with top marks before returning to her unit. July 2012, Pirante served with I MEF to support Javelin Thrust 2012/Large Scale Exercise-1, which afforded her the opportunity to document the interoperability of US Marines and the 33 Canadian Brigade Group as well as conduct a sit-down interview with commander Col. Howard G. Coombs. Pirante also provided correspondent assistance to various units aboard Camp Pendleton to include 1st Marine Logistics Group and the upstanding 1st Marine Expeditionary Brigade, for which, Pirante was awarded a Navy and Marine Corps Achievement Medal December 2012. January 2013, Pirante served with the 13th Marine Expeditionary Unit as a combat correspondent and managed the unit’s social media platform and campaigns. In August, she deployed aboard the USS Boxer (LHD-4) throughout the Western Pacific for a period of 8 months. April 2014, the 2014 OFFICE OF U.S. MARINE CORPS COMMUNICATION VISUAL INFORMATION AND EXCELLENCE IN COMMUNICATION AWARDS PROGRAM awarded the 13th MEU 1st Place Blog/Website and 2nd Place in Creative Tactics categories. Pirante was awarded 1st Place in Portrait/Personality Photo, 2nd Place in Multimedia Story Operational and Runner Up in Combat Documentation categories. 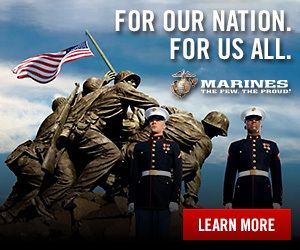 July 2014, Pirante reported as the Marketing and Public Affairs Representative at Recruiting Station Louisville, 4th Marine Corps District. RS Louisville’s area of operation spans the majority of Kentucky, a portion of southern Indiana and a portion of Ohio around Cincinnati. RS Louisville has approximately 45 recruiters who work out of 11 recruiting sub-stations, 19 permanent contact stations and two officer selection offices. July 2017, Pirante honorably discharged from the Marine Corps and returned home to Los Angeles, CA to pursue a career in film. Her personal decorations include the Navy and Marine Corps Achievement Medal, Good Condcut Medal, the National Defense Service Medal, Global War on Terrorism Expeditionary Medal, Global War on Terrorism Service Medal, Sea Service Deployment Ribbon and Navy and Marine Corps Overseas Service Ribbon.